Shopmobility is a scheme which hires out motorised scooters, manually operated and power assisted wheelchairs to assist in the accessibility to the shopping facilities, leisure activities and beautiful sights of Durham City for members of the public who have limited mobility. Shopmobility is for anyone - young or old. 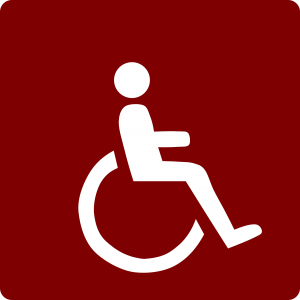 Whether their disability is temporary or permanent, those with long or short term disabling injuries... basically ANYONE needing assistance with a mobility problem. How Do You Use Shopmobility? Durham City Shopmobility ask that your first visit you bring along some sort of identification containing your name and address. For instance, your driving licence, pension book, current utility bill or blue badge. You will then be asked to complete a registration form and, if necessary, will be issued with your annual membership card. If necessary, a brief training session will be given and then you are ready to hit the road! Note: 2 Forms of ID required to use our service for the first time. Customers have the option of registering as a MEMBER or a VISITOR of the scheme. Regular users are recommended to register as a member. Membership is £10 per year, effective for 12 months from the date of joining. Infrequent users may register as a visitor and avoid the membership charge. Additional charges, as shown below are applicable in each instance. MEMBER: Wheelchair or scooter subject to a hire of £1.50 per hour. VISITOR: Wheelchair or scooter subject to a hire of £2.50 per hour. The equipment is available for hire during our normal opening hours from 10am, and must be returned no later than 4pm on the day of hire. At Durham City Shopmobility we also offer a hire service for long-term period of 2 days or more. This service can prove to be very useful to anyone visiting Durham, either on business or pleasure who need assistance with their personal mobility during their stay. There is a refundable deposit of £50 payable in respect of using the long-term hire service for motorised scooters. Hire charges and deposit to be paid in advance at the time of booking.